“InAir TV”. SeeSpace Blurs the Lines of Your TV Experience. A few years ago as CES wrapped up I posted about the beginning of the convergence between TV, your computer, and other content mediums. While the progress has been slow, it is definitely underway. Now days almost every TV, Blueray player, and DVD player is net connected with smart apps that allow for additional content delivery. Other hardware devices like the Roku box, Logitech’s Review, and Google’s Fiber initiative are continuing to blur the lines between a passive TV experience, and a deeper, richer interactive experience. As CES winds down, one of the more exciting things to come from it this year is SeeSpace’s InAir TV, which brings an augmented reality experience to your TV set. InAir TV places Web content inline with the consumers’ TV viewing experience, without having to switch to a second screen. This creates a completely new dynamic medium similar to the UI?UX in the movie “Minority Report”. The InAir TV which is still in KickStarter phase, involves using augmented reality technology to overlay additional content analyzed from what you are watching. The secondary content floats on a 3D layer between the TV picture and the viewer if you have a 3D TV. 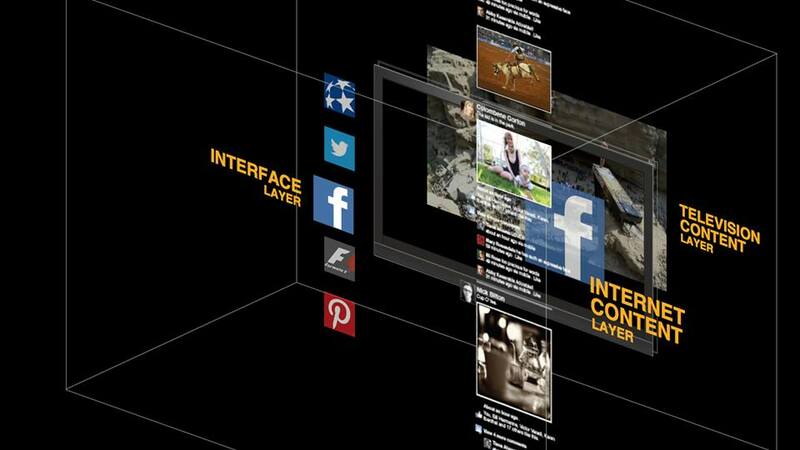 This second layer of content creates a more interactive, intuitive, and dynamic viewing experience. For example, if you are watching a Formula 1 race, you would be able to pull up the drivers, their stats, track conditions, leader info, points and standings, plus more. Instead of shrinking the picture on your TV screen to fit the additional information in, it would float above, or beside enhancing the viewing experience. The hardware is controlled in two ways. The first allows you to control InAir TV using your smartphone using its screen as a track pad. The second takes it to the next level by allowing you to use gesture control via a Kinect, or Leap controller. SeeSpace will be launching a Kickstarter campaign later this month and will be available to pre-order for $99 later this year. Posted in Television and tagged 3D TV, Augmented Reality, Google Fiber, InAir TV, Interactive TV, Kinect, Leap, Logitech Review, Media Convergence, Roku, SeeSpace, Technology on January 10, 2014 by Author. 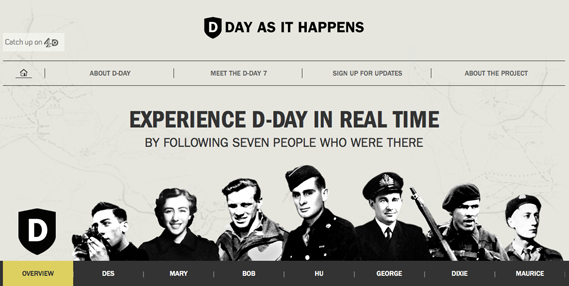 D Day Comes Alive 69 Years Later Thanks to C4 and Digit. 69 years ago yesterday, the end of WWII began with the Normandy Invasion by allied forces. To commemorate the event, BBC Channel 4 launched an immersive online event that chronicled the 24 hour period minute by minute. The result is an impressive blend of vintage news and history, coupled to dynamic technologies that bring the history alive. For a generation of people that are removed from the Second World War, this integrated television/website/social media program brings the history alive with a new vitality. “D-Day: As it Happens” told the story of The Normandy Invasion through the perspectives of seven people who were there in 1944. Those individuals include a nurse, a paratrooper and a military cameraman, and infantrymen. To kick off the event BBC 4 ran an hour long show on June 5 which introduced the back stories of each character. The following day there was a follow up program that recapped the events that took place on June 6, 1944. Between the timing of the first program and the follow up, internet users could track progress in real time through a breaking news-style website created by Digit and by following individual Twitter feeds set up for each of the “D-Day 7”. The website and TV shows used newly found and previously unseen material collected over a 15 year period by D-Day researcher Colin Henderson. Henderson’s radio reports, film, photographs and records allowed Digit to create maps plotting each of the D-Day 7’s locations throughout the day and develop a 24-hour live feed displaying their reactions, that connected to photographs and video footage of the invasion. Over the 24 hour period of time, more than 1,000 updates were posted to the site with the written accounts taken from historical records including diaries and interviews. Digit creative director Adam Lawrenson. Posted in Social Networking, Technology, Television and tagged BBC, BBC 4, C4, Channel 4, D-Day, Digit, History, Interactive TV, June 6th, Normandy Invasion, Social Media, WWII on June 7, 2013 by Author. App Cloud Dual Screen for Apple TV. I haven’t pulled the trigger on Apple TV yet. I think it has a lot of promise, but the fact that you can’t run dedicated apps on it has held me back. I was hoping that Apple would introduce something like Google TV, which I do own and use on a regular basis with the last upgrade, but they didn’t. The latest upgrade to my Logitech Review Google TV box was a great step forward, but it can still be a bit clunky. I found this video today from Jeremy Allaire at Brightcove demoing some new HTML 5 based applications for the iPad and Apple TV that shows great promise extending the Apple TV experience. I’m still not sold on Apple TV. but this gives me hope that someday it might become something I’d want to use. Posted in iPad Apps, Technology, Television and tagged App Cloud Dual Screen, Apple TV, Brightcove, Google TV, Interactive TV, iOS, iPad, Jeremy Allaire on June 27, 2012 by Author. I am a Direct TV customer, but I haven’t seen this yet. I think I am going to have to tune in to channel 111 tonight though. CP+B has purchased dedicated time on Direct TV and set up a specific channel to air an endless loop of a Burger King Whopper. The entire week long spot is the latest Burger King challenge, that works like this. Tune to channel 111 and you’ll see a 5 minute countdown. Watch the perfectly flame grilled burger spin for 5 minutes and you get a free burger, watch it for 10 minutes and you get two, 20 minutes and you get four… The loop is endless. The catch is that you really do have to pay attention. At given points in the loop, the channel prompts you to hit certain buttons on your remote, if you miss one the clock resets and you start over. Complete the challenge and you can claim the free burger right there on the TV. 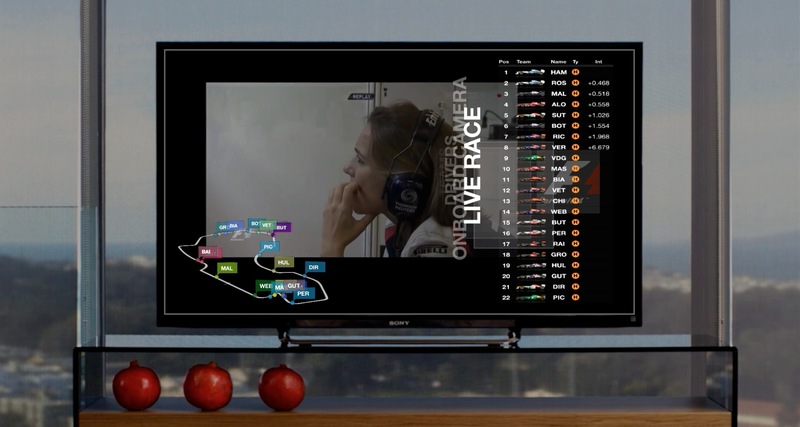 This is a simple yet very effective way to create an interactive TV experience. So effective, that Burger King has already given away more than 50,000 burgers this week, and is expected to give away more than 800,000 by the end of the contest on Sunday night. That means more than 13 thousand hours of Whopper TV will get watched and interacted with. Pretty impressive don’t you think? Posted in Advertising, Places to Eat, Postaday 2011 and tagged Advertising, Broadcast, Burger King, CP+B, Direct TV, Interactive TV, postaday 2011, postaday2011, Whopper on June 16, 2011 by Author.